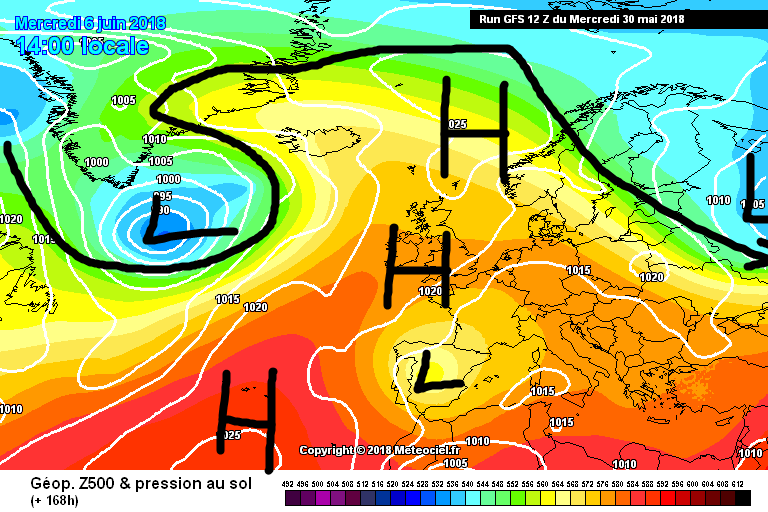 Haven't been following the models much of late but it seems like a really unusual pattern we're in at the moment. 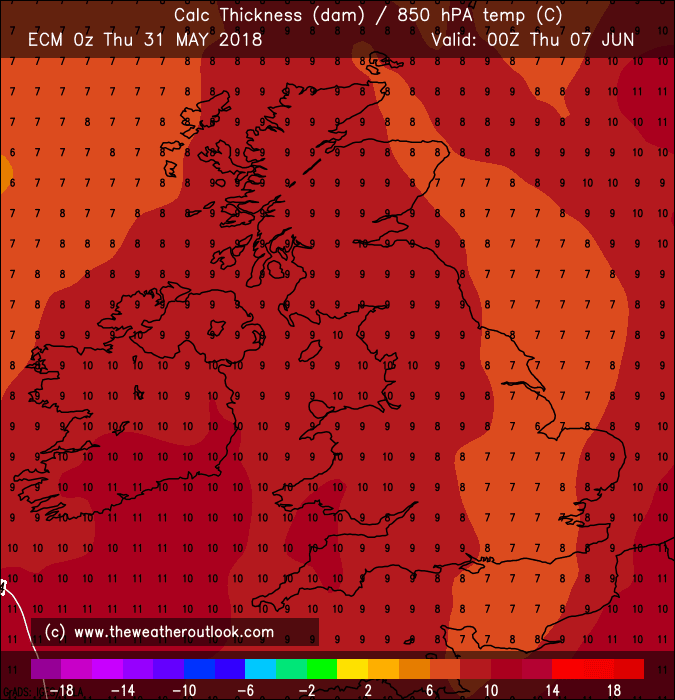 We're sort of stuck in a no-mans land on the edge of various high pressure systems and the Iceland low that so often ruins our summers is nowhere to be seen. More like what you'd expect in Central Europe. 564 dam line in through Ireland. I think the atmosphere has gone mad. Some very low 850hPa temperatures over the Iberian peninsula. 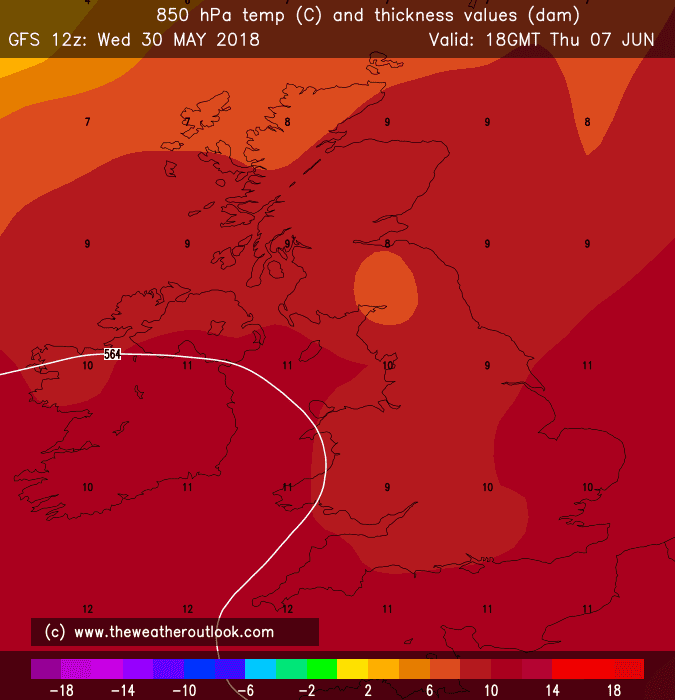 To further Kermit's post in the Spring discussion thread, the GFS 12z is still showing the high retrogressing somewhat on Sunday/Monday before building over us from Tuesday to about Friday next week bringing further settled and dry weather. 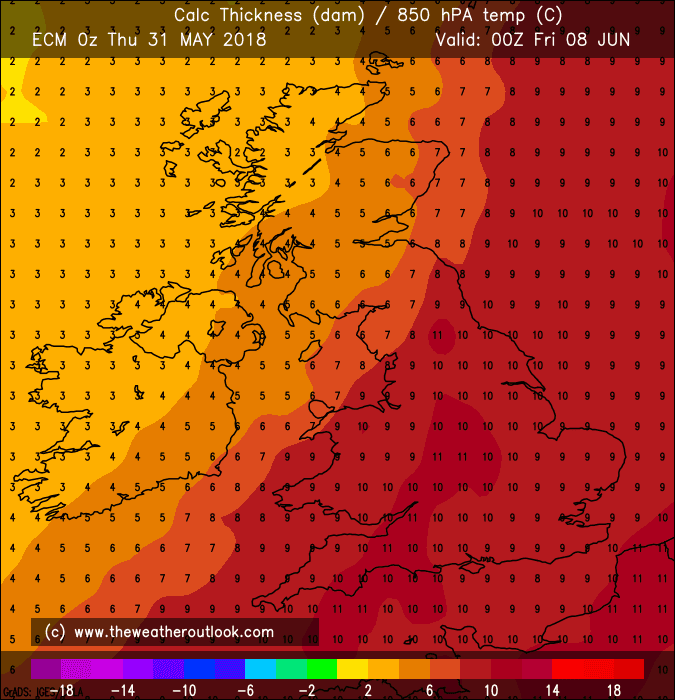 Very warm towards Thursday/Friday with the 564 dam line making it in through us. 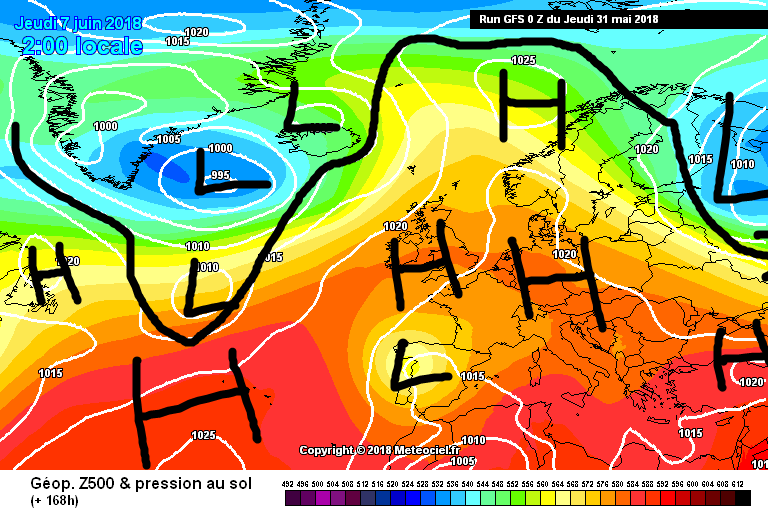 The second week of June is likely to be temporarily unsettled with westerlies for a time but then high pressure could quickly come back. 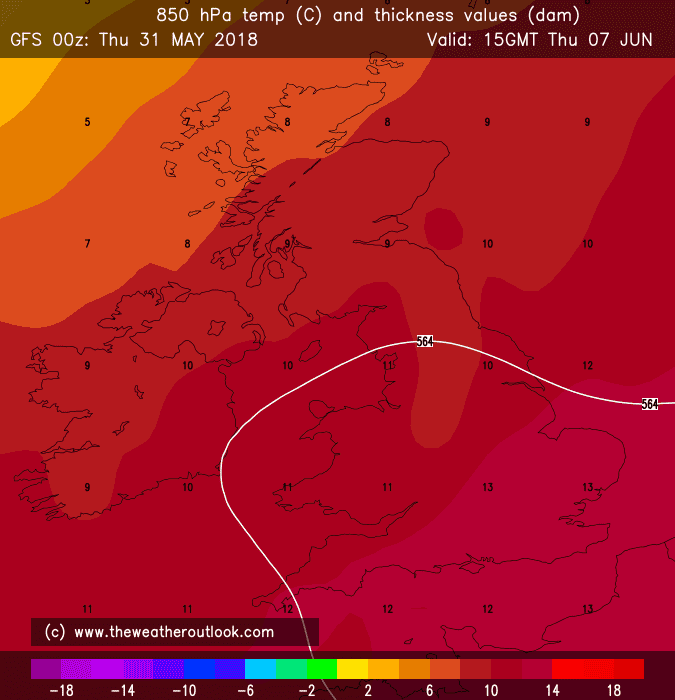 The GFS 0z this morning didn't show this very warm period for the 7th/8th June and in fact, it showed us into an unsettled pattern. 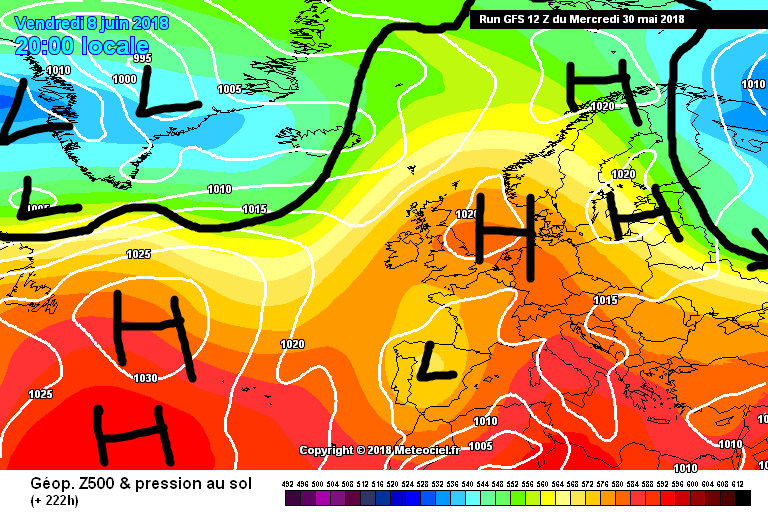 The ECM 0z did show the very warm period and the 12z shows it again. 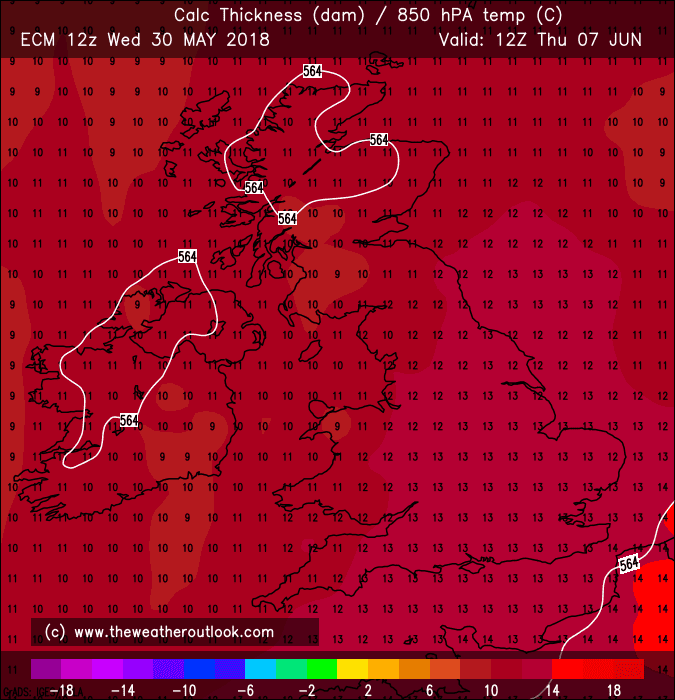 ECM 12z upper air temperatures for Thursday 7th June. 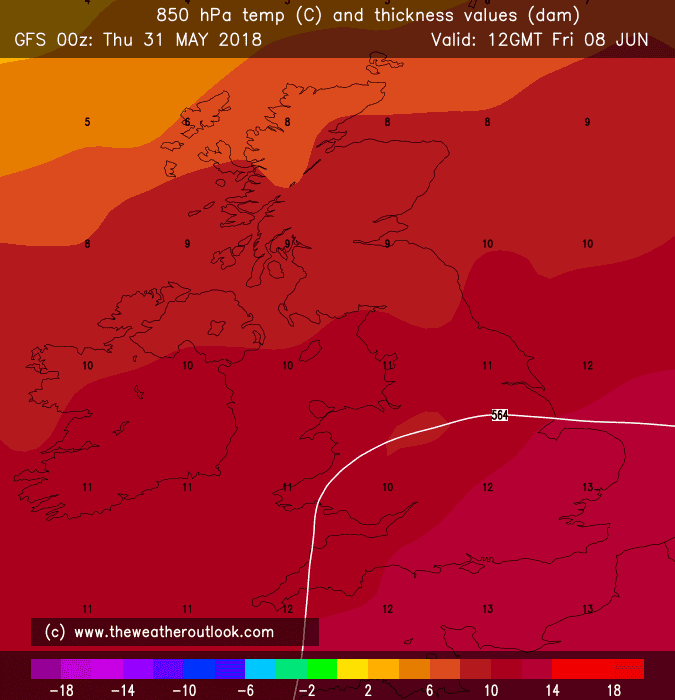 0z runs this morning both showing the warm period for Wednesday 6th to Friday 8th June. The ECM has it as quite a short snap of warmth with upper airs going down to 3 or 4c on Friday. Note the 564 dam line is much further southwards. ECM 12z is a strange run. It has temperature anomalies above average for Ireland (and below par for England & Wales) yet there's low pressure right over top of the UK and Ireland. 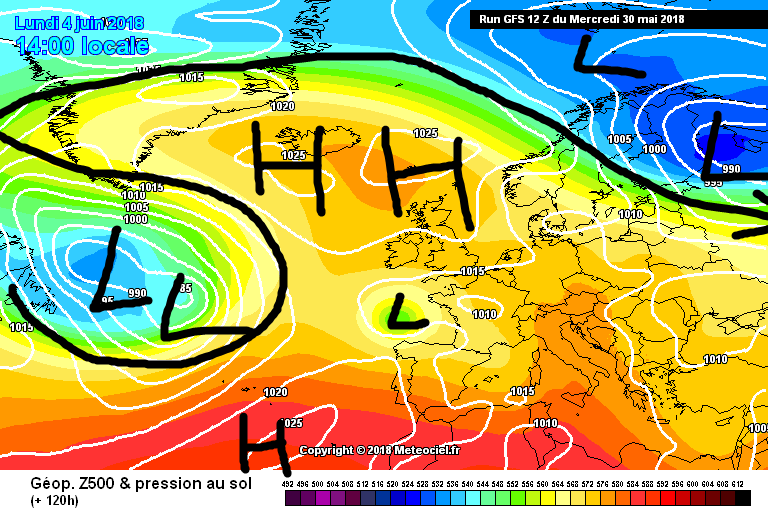 The GFS has the low much further southwards down to the Bay of Biscay. It's all breaking down, summers over. Happens most years a good week to 10 days near end of May start of June then showers most days from then on. 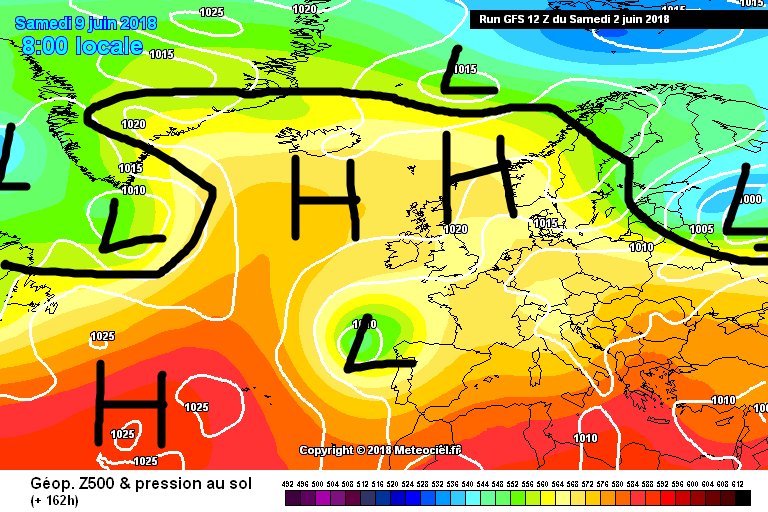 UKMO 12z was similar to the GFS with the low down to the Bay of Biscay. However, to the south of Ireland, the gradients are slacker with an unstable easterly flow. ECM was such a weird run. The throwing toys out of the pram wasn't necessary whatsoever, it was one run of the ECM. It was highly likely to change given agreement of the other models and the fact that the ECM has been extremely inconsistent a lot lately. Now look at the ECM 0z this morning. It has the low much further southwards and the high pressure ridges over Ireland keeping things quiet, settled and relatively warm.